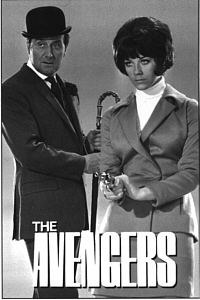 Linda Thorson Portrayed: Miss Tara King in the 1960s English TV spy series The Avengers. Alma Mater: Attended the Royal Academy of Dramatic Art. Awards: Theatre World Award, 1983, for "Steaming." Tara-ra-boom-di-ay The Exclusive Linda Thorson web site by TV Memorabilia. Email Linda there! There are lots of images on their site here. The Tara King Era - Avengers Forever by David K. Smith. Linda Thorson biography - Avengers Forever by David K. Smith. Tara King biography - Avengers Forever by David K. Smith. Yahoo! Groups: LindaThorsonFanClub. Owner is patppg3.